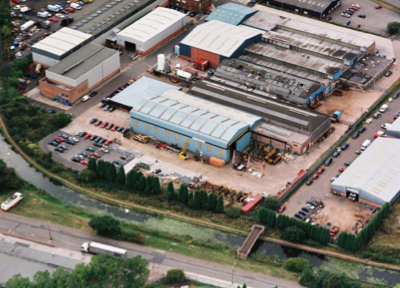 In July 2013 Avingtrans PLC a specialist engineering group acquired Exterran UK, formerly known as Burnett & Lewis Ltd, Maloney Steelcraft (UK) Ltd, Hanover Maloney Ltd & Hanover (GB) Ltd. The Aldridge business has been located on the same two sites from 1948, it has developed into a modern well equipped company that can deliver a one stop shop total solution to meet oil and gas process equipment packages design and manufacturing related requirements. Our Integrated approach delivers total solutions: from initial concept design through to manufacture, commissioning, installation and after sales support, our expert team support you every step of the way. With over 250 years combined experience, 170 years of the forefront of design and manufacture of specialist vessel, pipe and packaged equipment. Maloney is a recognised name in the Oil and Gas industry so was incorporated in recognition of its design and manufacturing expertise innovation quality and reliability Combining the resources of Maloney & Metalcraft, the business is positioned as an exceptionally resourced UK in house integrating process technology company capable of delivering a one stop solution. Our clients are offered an unrivaled level of guaranteed assurance that when we win projects, they are delivered to time and budget with a smooth transition from concept to production Project Administration and Control exercised through highly experienced Project Engineering Managers is the key to successful implementation. Dedicated project teams are assigned to all contracts to ensure professional management standards meet and exceed our customer requirements.